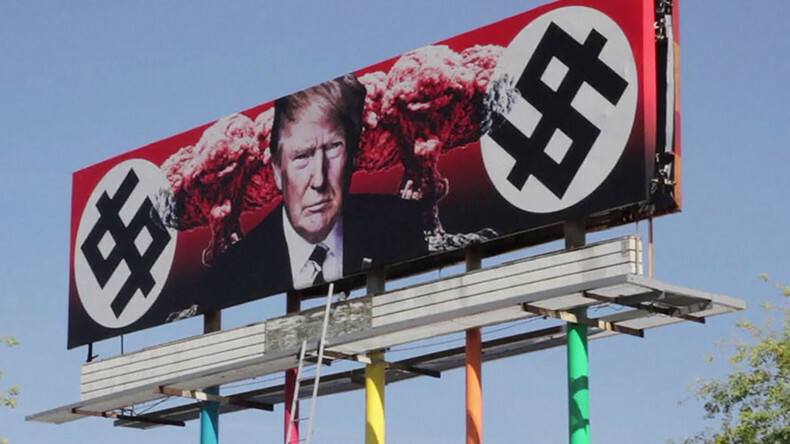 A provocative billboard depicting US President Donald Trump surrounded by mushroom clouds from nuclear explosions and dollar signs resembling Nazi swastikas has been erected in Phoenix, Arizona. The US leader also wears a Russian flag lapel pin. 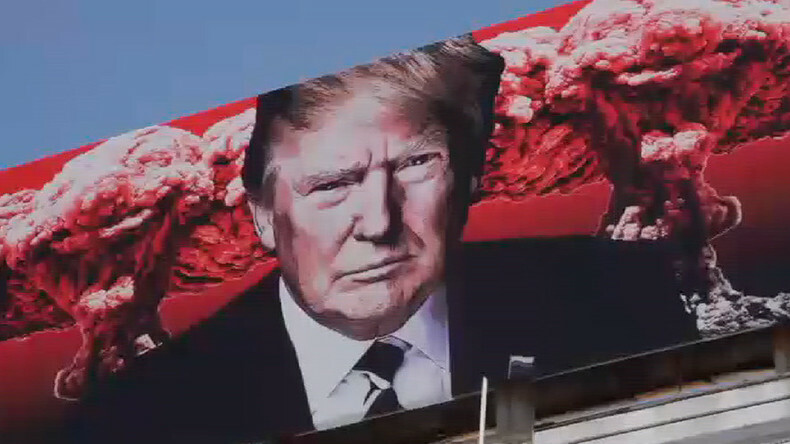 The billboard, placed on Grand Avenue near Fillmore Street, is owned by Beatrice Moore, who commissioned the menacing image to artist Karen Fiorito. “I think a lot of people are feeling this way and I’m just trying to express what I think is on a lot of people’s minds these days,” she told KPNX television, a local NBC affiliate. The billboard went up Friday to coincide with the start of the annual three-day Art Detour event nearby, although organizers said they had nothing to do with the installation. The owner said it would remain up as long as Trump is president. Some critics of Trump are concerned that he has dictatorial intentions and may become a tyrant, if left unchecked. A ‘Resistance’ movement against his presidency is currently underway.